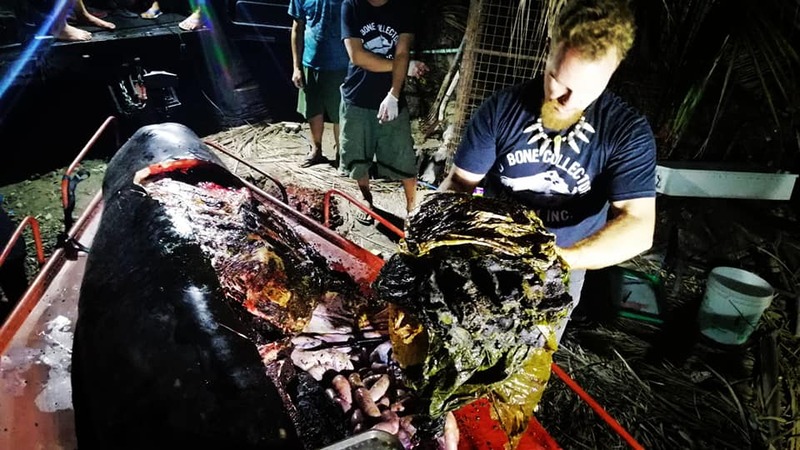 A young whale which was found dead in the Philippines is said to have died from ‘gastric shock’ due to the amount of plastic in its stomach. The whale, a juvenile cuvier beaked whale, washed ashore on Saturday (March 16), on the Philippine island of Mindanao. 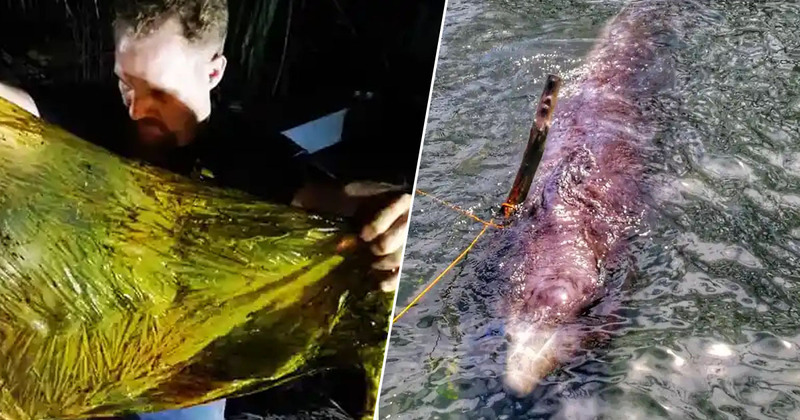 After conducting an autopsy on the young whale, marine biologists were shocked to discover the animal’s cruel cause of death: gastric shock caused by over 40kg of plastic in its stomach. The final cause of death is in for the death of the juvenile male curvier beaked whale we recovered March 16 2019. Action must be taken by the government against those who continue to treat the waterways and ocean as dumpsters. Usage of single-use plastics is particularly prevalent in south-east Asia, The Guardian reports. A study by the Ocean Conservancy, made in 2017, showed China, Indonesia, the Philippines, Thailand and Vietnam dump more plastic waste into the oceans than the rest of the world combined. Darrell Blatchley, a marine biologist who owns the D’Bone Collector Museum, has said – in the last 10 years of examining dead whales and dolphins – 57 of them have died because of plastic waste and rubbish found in their stomachs. Unfortunately, sea life unnecessarily dying because of plastic dumped in the ocean is becoming more and more common. 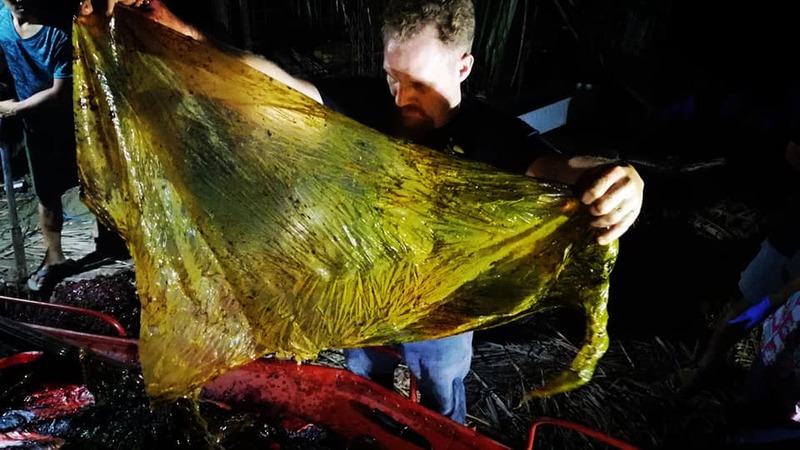 In June last year, a whale was found dead in southern Thailand after ingesting more than 80 plastic bags, weighing around 8kg in its stomach. Earlier this year, in February, the D’Bone Collector Museum Inc. performed an autopsy on a female pygmy sperm whale found dead in the Philippines by fisherman. They found she too had died from ingesting plastic. Marine biologists estimate around 300 marine animals, from pilot whales to dolphins, to sea turtles, die every year in Thai waters after ingesting plastic in the ocean. A recent study carried out by a team of marine mammal and plastic experts from the University of Exeter and Plymouth Marine Laboratory, which studied 50 creatures which had washed up on the shores of Britain, found every single animal had ingested plastic in one form or another.